Most businesses have lead-time to plan and deliver their work products. Take the manufacturing industry, for example. Product delivery times are adjusted based on inventory on hand, time to manufacture, and the cost to scale up production to meet the client’s desired schedule. If the delivery schedule is not possible, negotiations ensue to ship partial orders, adjust the ship date or even cancel the orders. Healthcare is a very different business. 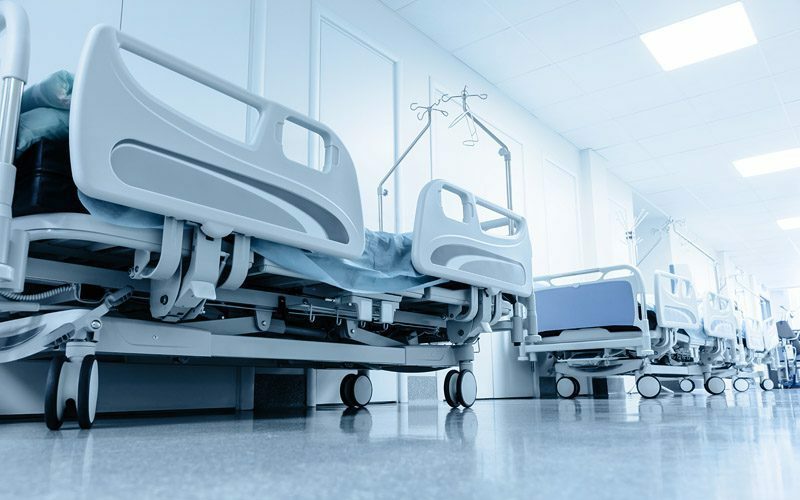 There isn’t any lead-time to plan for the number of patients who show up at any given day on a hospital’s doorstep, nor inventory on hand that can help offset high volume of delivery needs. Arriving patients with emergency issues need immediate attention and require instant adjustments from hospital staff to provide the best care possible with the available resources. These adjustments extend far deeper than the emergency department (ED) since there is always a chance the arriving patient may need to be admitted — with the requisite resources to accept the patient efficiently and without delay. For a patient to be admitted, there first must be an open bed and staff with the bandwidth to provide the necessary care. If no staff is available, the scramble to provide care widens to determine if there is staff available from a unit that may be overstaffed, the float pool, on-call, or a phone call to the worker who will normally cooperate when there are emergency issues. The other option is to look for patients who can be moved to another unit or discharged to create capacity. Unfortunately, patient movement opens another Pandora’s Box of roadblocks that need to be maneuvered before making room for the new ED patient. To move a patient, a timely physician order is needed. Even when that order has been entered, there is the possibility a particular event — for instance, a need for physical therapy, a meal, or even a visit to the bathroom — must occur before that move can take place. And after all that, other practicalities must be addressed: is there someone to pick up the patient? Does the patient need to be transported to another facility and is there the means of transportation available? Data science and analytics are the answer to all of this. Data enables healthcare organizations to make the transition from waiting to see what happens to having predictive insights about the patients and workload coming their way. Placing a “crystal ball” in the form of data in the hands of healthcare leaders provides essential insights into where the workload stresses will be in the future. These predictive capabilities, like the ones enabled by Hospital IQ, give managers the ability to reconfigure staffing plans with enough time to plan and deliver quality care far more effectively than when the patient has already arrived, and speed becomes the number one priority. Patient discharges can be predicted by looking at massive data stores that allow comparisons of like patients with similar ailments and attributes to create predicted care pathways, which is vital to understand the keys to expedited patient discharges. In a world where the need to improve efficiencies in healthcare is critical, data science and analytics are the essential ingredients to improve patient throughput. Data provides hospital leaders with the ability to see future roadblocks and opportunities to help keep care flowing. It also enables the people who devote their lives to caring for others to provide the best care possible. Want to learn more on how predictive analytics for workforce management allows you to identify and correct staffing misalignments days in advance? Then register for our upcoming webinar: Aligning Capacity to Demand with Predictive Analytics, today!